BELIEVING he was about to witness a murder, an off-duty police sergeant shot and killed private for-hire driver David “Bruno” Thomas, who, investigators said, had cocked a gun and aimed at another a PH driver. However, Thomas’ family say the policeman had “no right to kill” him. Police report that the off-duty officer, who was waiting for a taxi, called out to Thomas, nicknamed Movado, to put down the weapon. Before Thomas, 37, had a chance to pull the trigger, the policeman whipped out his service revolver and opened fire, killing him. The incident happened shortly after 9 am yesterday at the Edinburgh 500 taxi stand on Andrew Street, Montrose in Chaguanas. Police said the two PH drivers had a heated argument. Thomas threatened to shoot the other man and went to the driver’s seat of his B 15 car and pulled out a gun. The policeman, who works in the Central Division, witnessed the commotion while standing nearby. Police said had the policeman not intervened there would have been a homicide. They allege that Thomas, originally from Laventille, was a member of the Unruly Isis gang. There were no passengers in the car and no one else was injured. Police from Chaguanas Police Station and Homicide Bureau Region III visited the scene and interviewed the sergeant and the other driver. Police recovered a gun with ammunition in the car. An eyewitness referred to Thomas as a “rude boy” saying both drivers had an ongoing feud. None of the eyewitnesses commented on the nature of the feud. Thomas lived with his mother and siblings at Almond Street, Edinburgh 500, Chaguanas. The grieving mother accused the driver of “provoking” Thomas. “Even if they saw he had a gun, the policeman had no right him to kill him. Police should have arrested him for the gun. He was not waving it at anybody, he was not going to kill anybody. The policeman hit him three shots on the side and three on the back,” said Thomas’ mother. She accused police of refusing to allow her to view and identify her son’s body at the scene. One of her nieces, who identified herself only as Tricia, told Sunday Newsday the policeman showed no remorse for his action. Another relative accused police of leaving him in the car to die instead of taking him to the hospital. An autopsy is expected to be done at the Forensic Science Centre in St James tomorrow. After the autopsy, the family would decide if to lodge a complaint with the Police Complaints Authority. 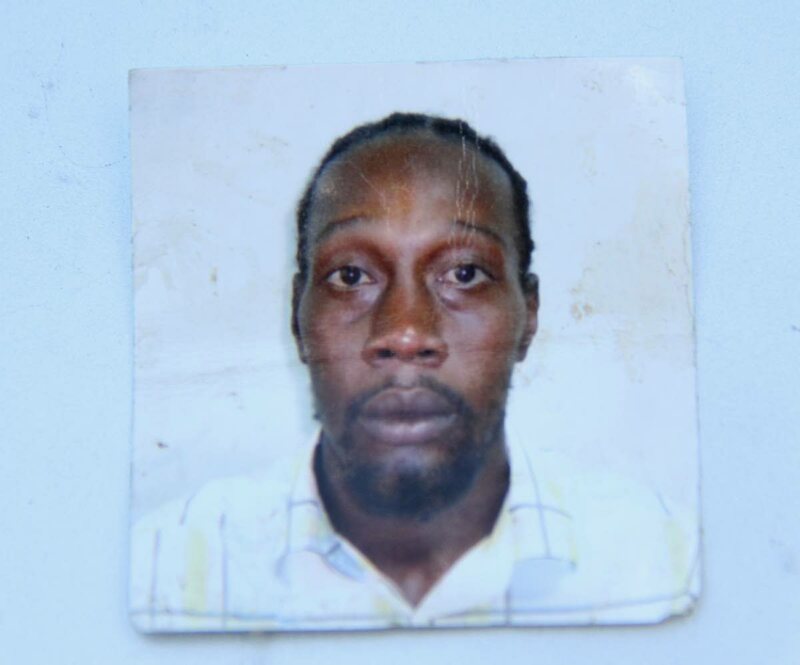 In July 2015, Thomas’ brother Jason Manswell, 28, was shot and killed in East Dry River, Port of Spain. Last November, police charged a taxi driver for the murder. The matter is pending in the Port of Spain Magistrates’ Court. Commenting yesterday on the latest police killing on i95.5 FM, Police Social and Welfare Association president Insp Michael Seales said it was the fourth for the year. Seales said the association supports any officer who operates within the law. He said if evidence shows otherwise, it will be dealt with. He also there will be independent investigations into police killings saying police are also relying on eyewitnesses for first-hand information. Seales has been publicly supporting Commissioner of Police Gary Griffith’s one shot one kill policy. Only on Thursday, police shot and killed Muhammed Allan, 24, at Crown Trace in Enterprise, Chaguanas. Police said he allegedly pulled out a gun when they stopped him in a van. Like Thomas, police alleged that Allan was a member of the Unruly Isis gang. His relatives denied the allegations and accused police of murder. The Police Complaints Authority is investigating Allan’s killing. Reply to "MOTHER: NO RIGHT TO KILL"